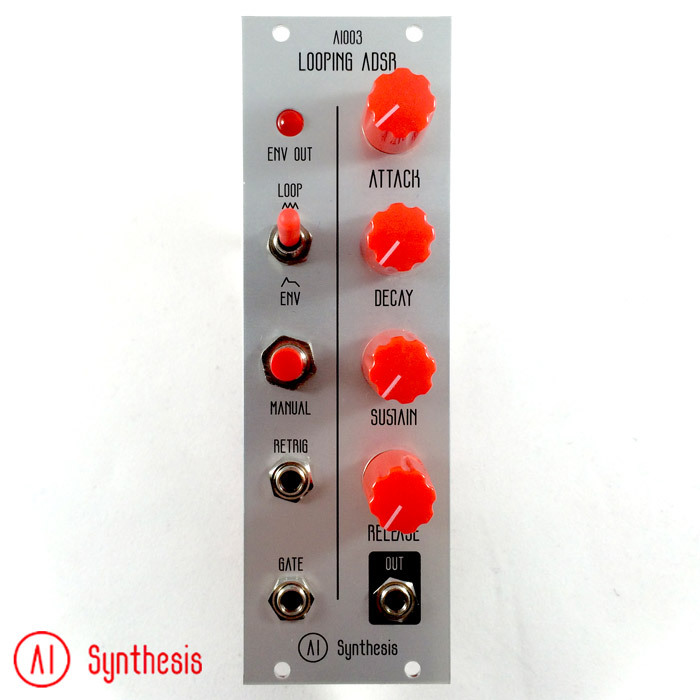 The 8hp AI003 Looping ADSR Envelope Generator is a looping ADSR Envelope Generator. It can be manually triggered via Momentary Push Button, Gated via the Gate Signal, Triggered or re-triggered by a Trigger input, or set into a loop mode via a toggle switch. An LED shows the status of the output. This Looping ADSR Envelope Generator circuit was derived (with permission) from the great and simple circuit (only 2 ICs!) from Nicolas on the Electromusic.com forums. With some help from the great Dave Brown, the circuit was updated to provide additional voltage protection, more uniform looping and gate behavior, more precise LED monitoring, and some nice user experience updates. 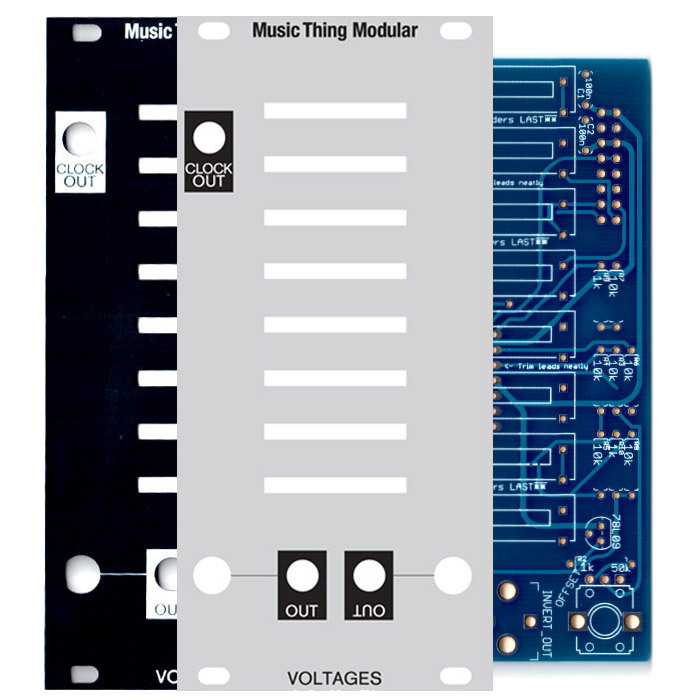 In Gate or Trigger mode, the envelope can be used as a traditional ADSR envelope generator. 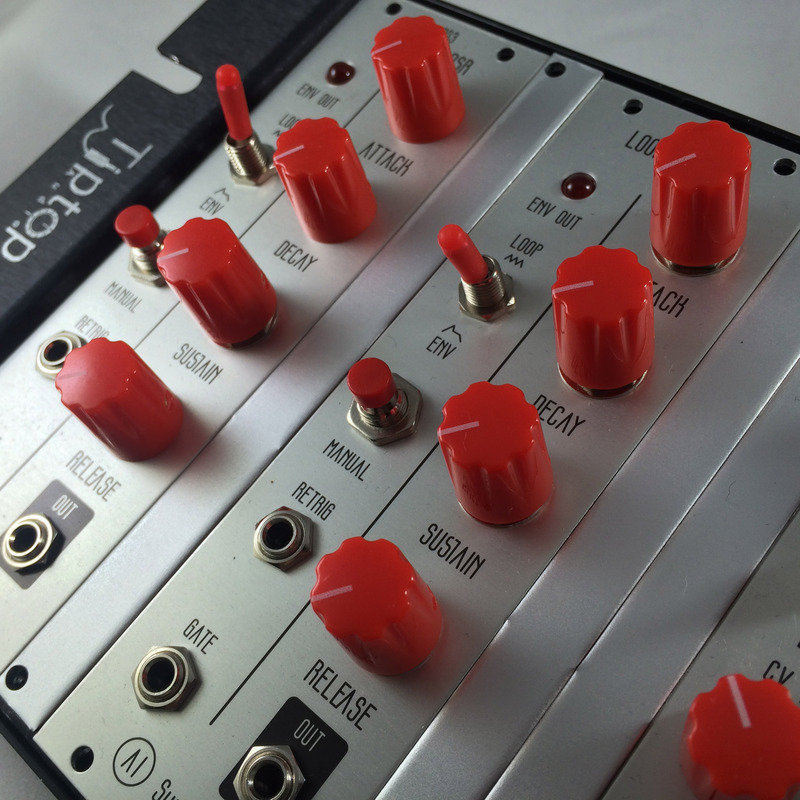 In loop mode, the output sends a variable exponential waveshape between Ramp, Triangle, and Sawtooth LFO with control over the attack and decay of the LFO shape. The modes are dependent on whether or not the gate jack is inserted, and for triggers, the Sustain level – see the chart below. We will be releasing a more traditional ADSR with “normal” gating functions shortly (but with twice the part count and no AD loop).